Upholstery that should be a direct replacement for your seat following the factory pattern. Does not come with the seat foam. 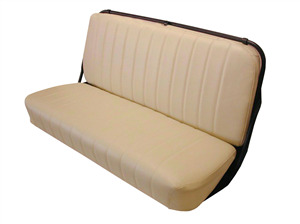 Replacement upholstery kit for your car: made like the original seat upholstery and guaranteed to fit. We have the original material and colors or come very close.